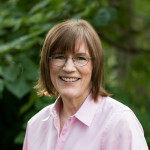 Barbara Oakley, PhD, PE is a Professor of Engineering at Oakland University in Rochester, Michigan; the Ramón y Cajal Distinguished Scholar of Global Digital Learning at McMaster University; and Coursera’s inaugural “Innovation Instructor.” Her work focuses on the complex relationship between neuroscience and social behavior. Dr. Oakley’s research has been described as “revolutionary” in the Wall Street Journal—she has published in outlets as varied as the Proceedings of the National Academy of Sciences, the Wall Street Journal, and The New York Times. She has won numerous teaching awards, including the American Society of Engineering Education’s Chester F. Carlson Award for technical innovation in engineering education. Together with Terrence Sejnowski, the Francis Crick Professor at the Salk Institute, she co-teaches Coursera – UC San Diego’s “Learning How to Learn,” the world’s most popular massive open online course. Her book A Mind for Numbers: How to Excel at Math and Science (Even If You Flunked Algebra), (Penguin, 2014) is a New York Times best-selling science book. Her latest book Mindshift: Break Through Obstacles to Learning and Discover Your Hidden Potential debuted from Penguin on 18th April 2017. Dr. Oakley has adventured widely through her lifetime. She rose from the ranks of Private to Captain in the U.S. Army, during which time she was recognised as a Distinguished Military Scholar. She also worked as a communications expert at the South Pole Station in Antarctica, and has served as a Russian translator on board Soviet trawlers on the Bering Sea. Dr. Oakley is an elected Fellow of the American Institute for Medical and Biological Engineering.